I saw a bit of this “historic performance film footage” about Heifetz and Piatigorsky in Youtube so I bought this DVD. 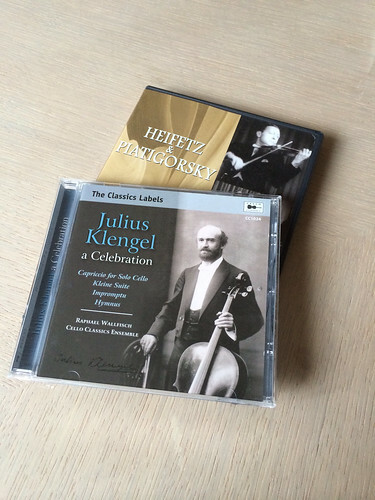 I then accidentally came across this CD for Julius Klengel, Piatigorsky is one of his pupils. Piatrigorsky transcribed this famous Danzas Espanolas No 2 by Granados for cello. This entry was posted on	December 15, 2013 at 4:18 pm	and is filed under Uncategorized.